Dorchester Academy was founded as a primary school for African-American children by the American Missionary Association after the Civil War. 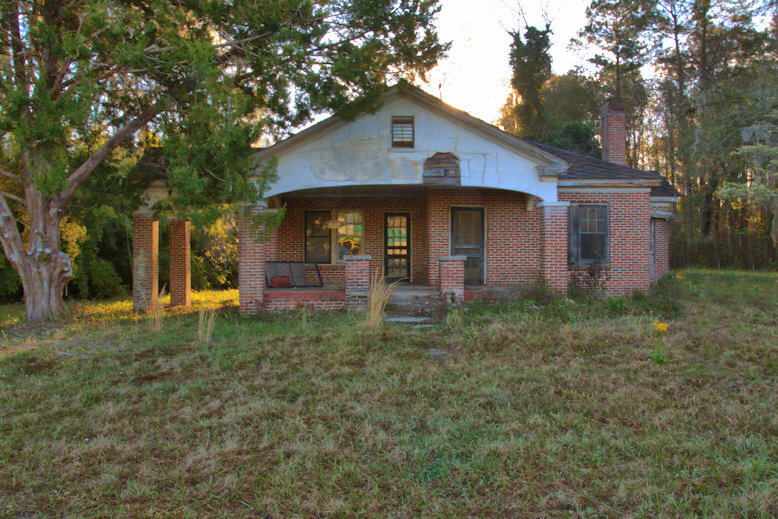 The dormitory, designed by architect George Awsumb in 1934 to replace an 1890s structure lost to fire in 1932, is all that remains of a once-larger campus. After the school closed in 1940, demolition of the campus took place. The boys’ dormitory became the community center and still serves that purpose. During the Civil Rights Movement it was the primary site of the Citizenship Education Program (CEP) (1961-70), an important initiative of the Southern Christian Leadership Conference (SCLC). This was seen as the basis for the highly successful Voter Education Project (VEP). 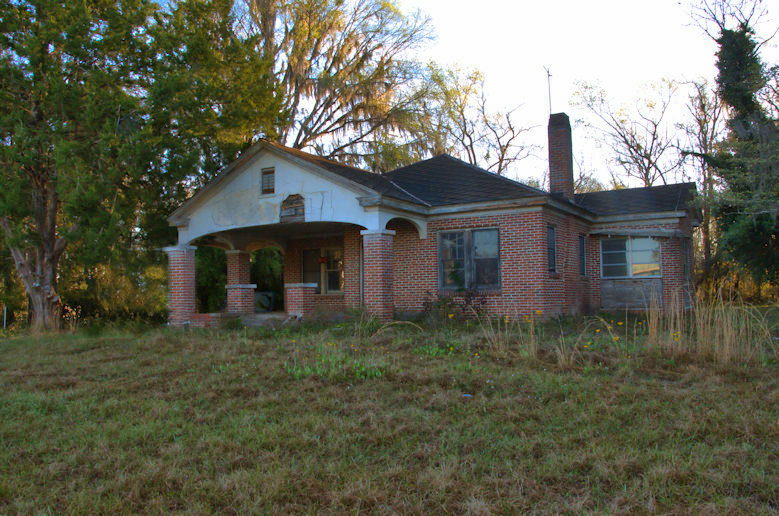 One of the prime boosters of the CEP was Septima Poinsette Clark, a Charleston school teacher referred to as the “Queen Mother of the Civil Rights Movement”. The work of this and other so-called “citizenship schools” trained over 700 teachers and registered 50,000 voters by 1963. 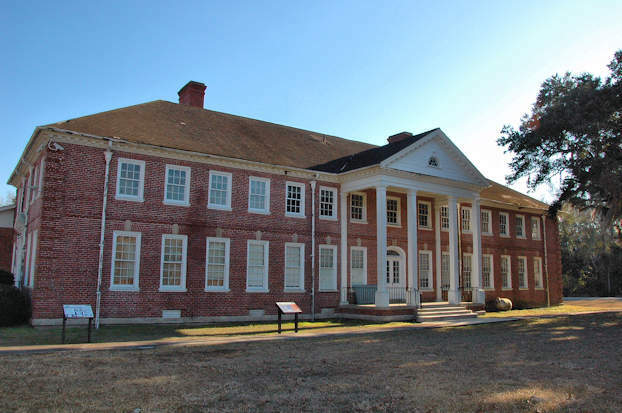 Workshops were often held at the site with numerous civil rights icons in attendance, including Dr. Martin Luther King, Jr., Andrew Young, Wyatt Walker, and Dorothy Cotton. These two houses, across from Dorchester Academy, are modified examples of the American Foursquare style. 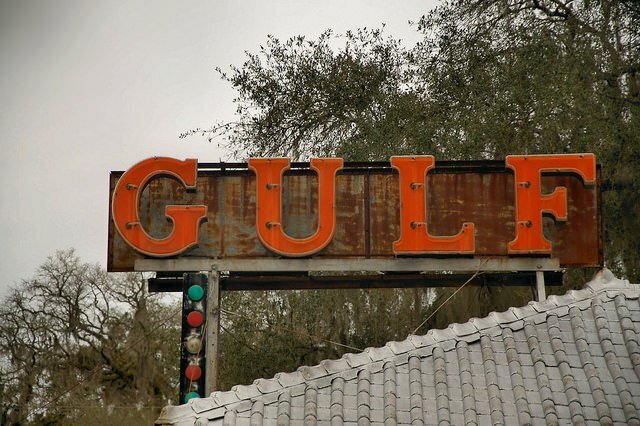 Grady White’s garage on US 17 in Midway stays busy, so I was glad to get a shot on a Sunday. 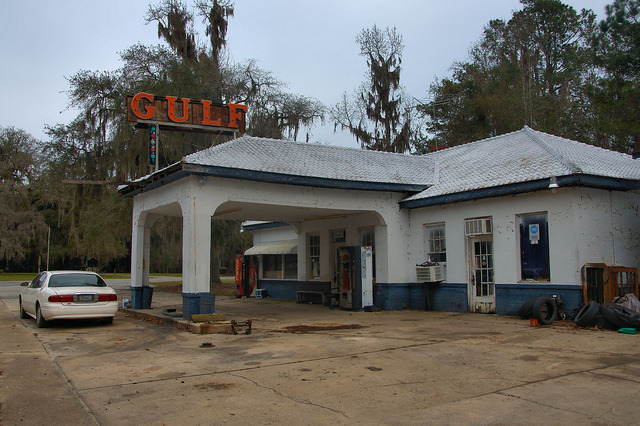 I’ve been told it dates to the 1930s and didn’t begin as a Gulf station, but I can’t confirm that. I wish the sky had been more cooperative, but it seemed appropriate for the shot. There’s been one form or another of automotive service at this location for over 100 years. Amazing. And for many years, the station was the place to obtain the key to historic Midway Congregational Church, located just across Old Sunbury Road from the station. 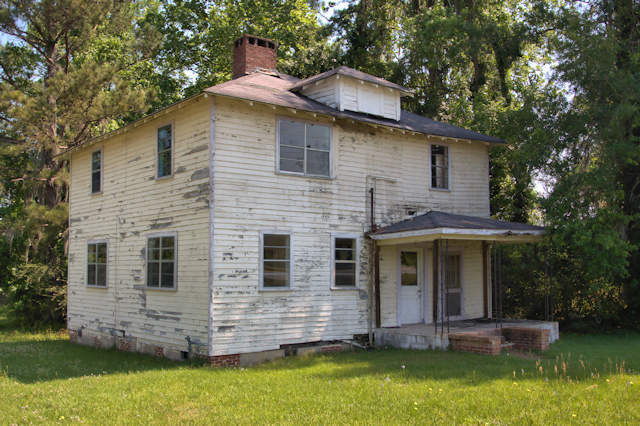 I can’t find a reference to the old station on the National Park Service’s nomination form for the Midway Historic District, but it probably wasn’t seen as an asset in 1973 when the form was compiled. Today, I believe it should be included in the historic district. 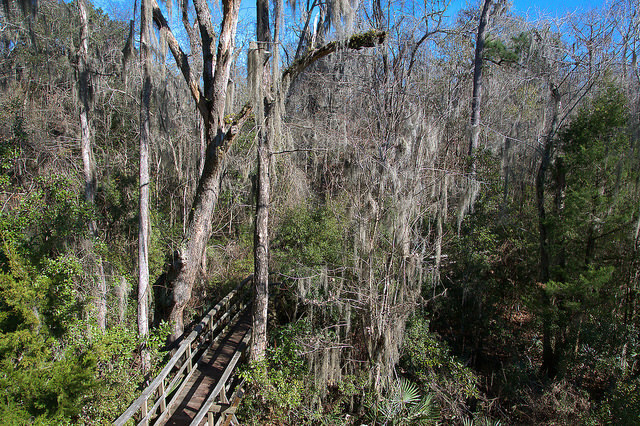 Cay Creek Wetlands Interpretive Center is one of the best day trips in Coastal Georgia. 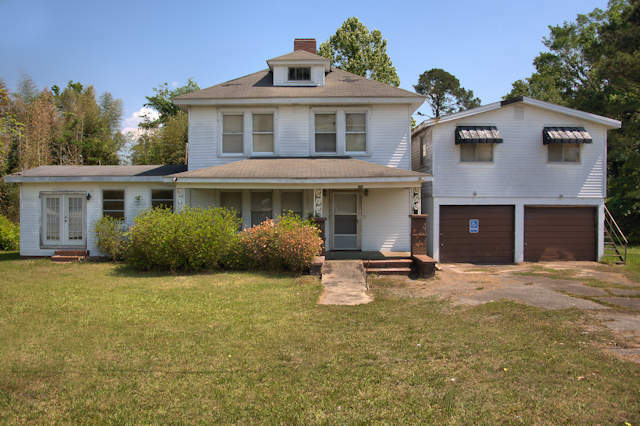 Located at 189 Charlie Butler Road in Midway, the center has ample parking, picnic tables, and a boardwalk which covers several different ecosystems. 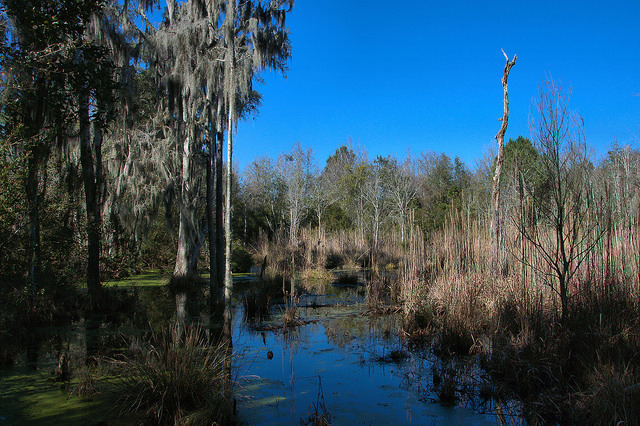 It’s a place for reflection, as well as a haven for amateur naturalists, birdwatchers and anyone who enjoys the outdoors. Best of all, it’s free and open to everyone, through the daylight hours seven days a week. There isn’t an actual “center” as yet, but excellent interpretive signs located along the boardwalk provide ample information about the environment and its inhabitants. 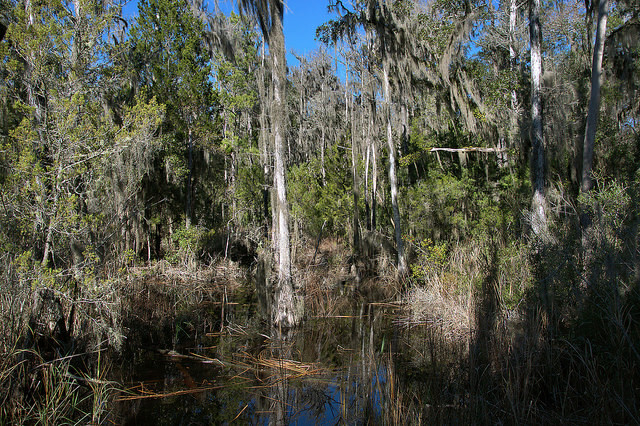 Your walk begins in a freshwater tidal swamp, full of oak, cypress, and bay trees. Irises were already sprouting in January (below). 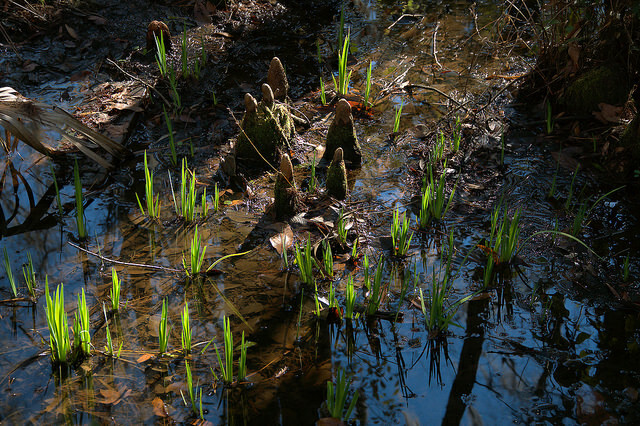 As the boardwalk reaches the observation tower, the freshwater swamp is intermingled with salt water. 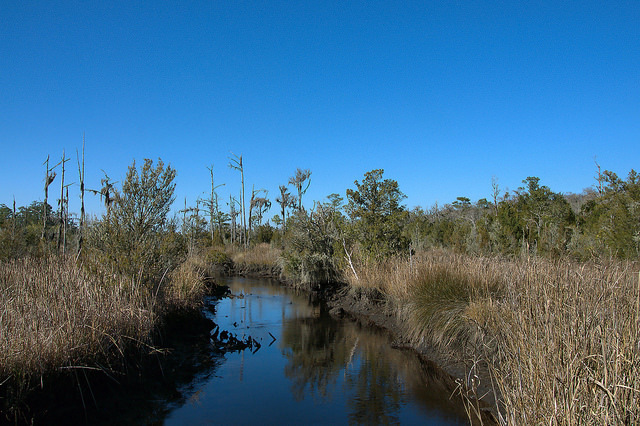 Almost a third of the tidal salt marshes on the Atlantic Coast are located in Georgia, along with many freshwater tidal swamps and marshes. Only specific plants are able to thrive in salt water environments, so the plant life begins to change, if subtly, in this zone. A short walk up the observation deck affords a birds eye view. 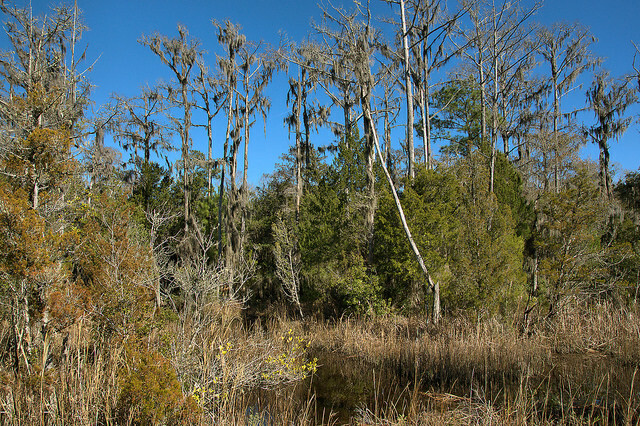 Just past the observation tower, the transition becomes more obvious, as marsh grasses begin to dominate the hammocks. 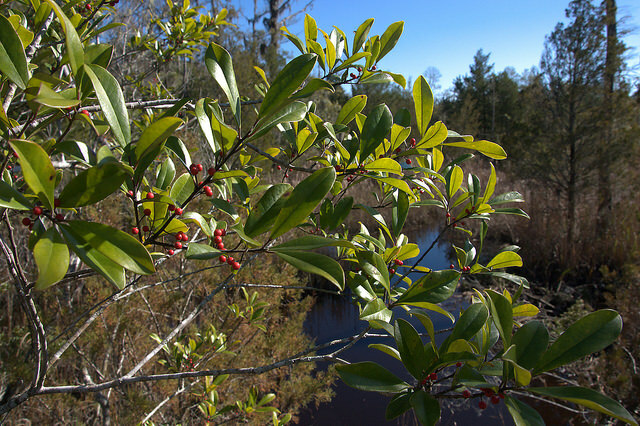 In winter, you’ll see the red berries of native hollies (Ilex). 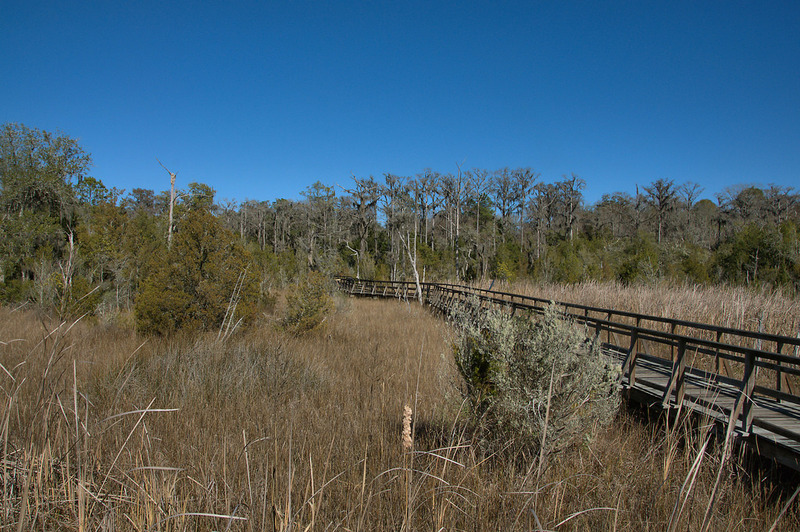 The last stretch of the boardwalk opens into brackish marsh, with the transitional swamp and marsh visible in the background. 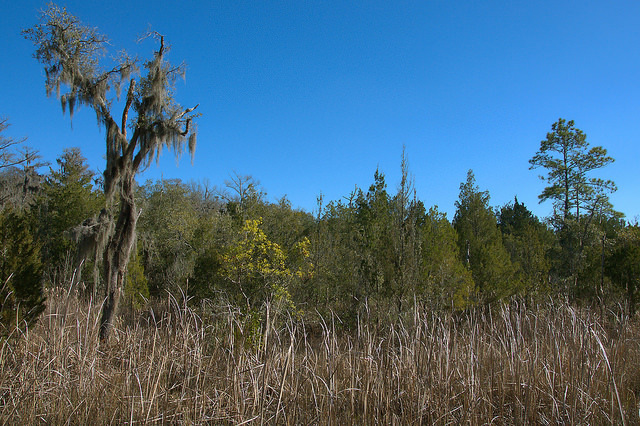 Here, you’re surrounded by marsh grasses and can smell the salt in the air. 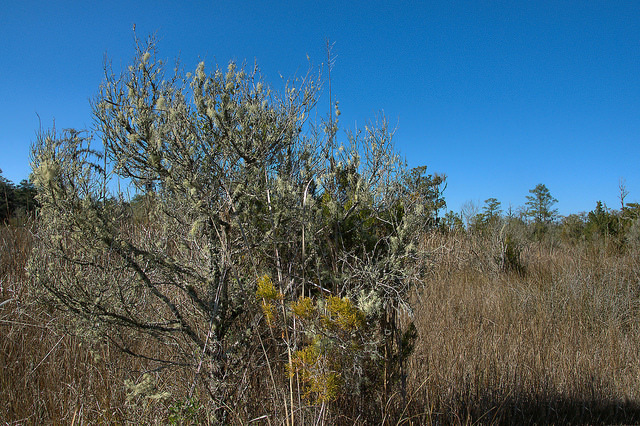 Native cedars, often covered in lichen, are scattered around the marsh. This is the view at the end of the boardwalk. You’ll want to return! 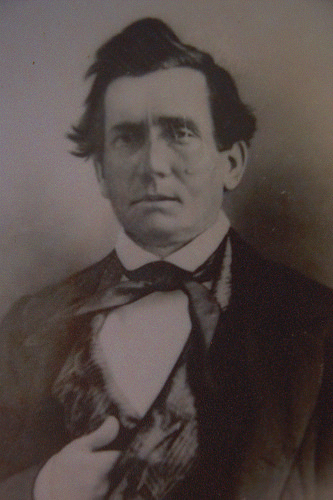 Raymond Cay (1803-1885), namesake of Cay’s Creek. 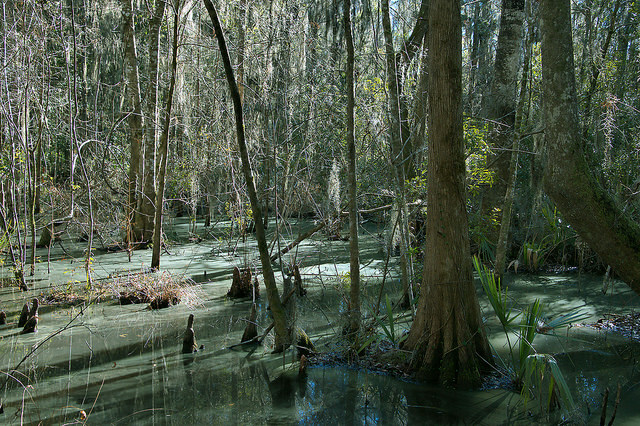 This was originally known as Salter’s Creek but was changed in honor of Raymond Cay’s nearby plantation. 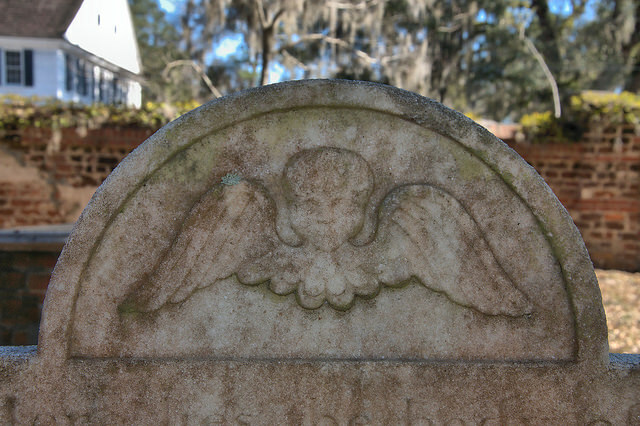 Tympana are the semi-circular arches atop early headstones, usually featuring an iconic relief sculpture. 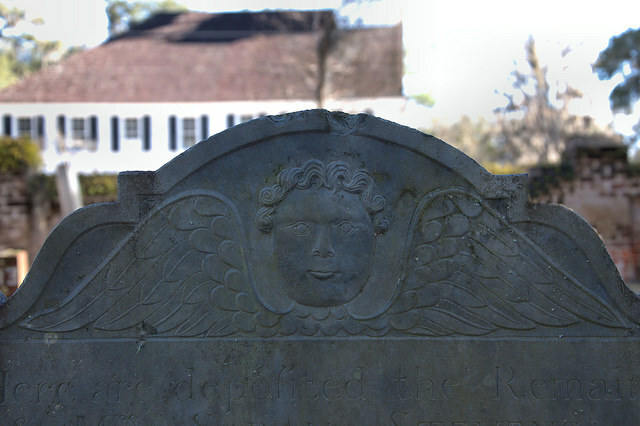 In early America, the most common of these icons is the “winged death” head, usually represented as a cherubic face or skull above a pair of wings. 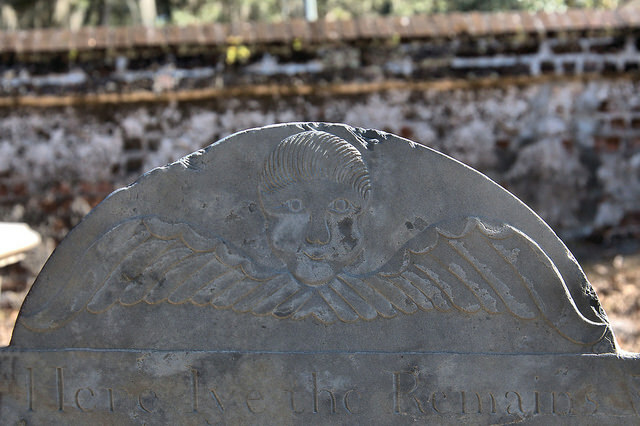 New England churchyards and burying grounds abound with these earliest forms of American sculpture, but they’re rarities in the Deep South. 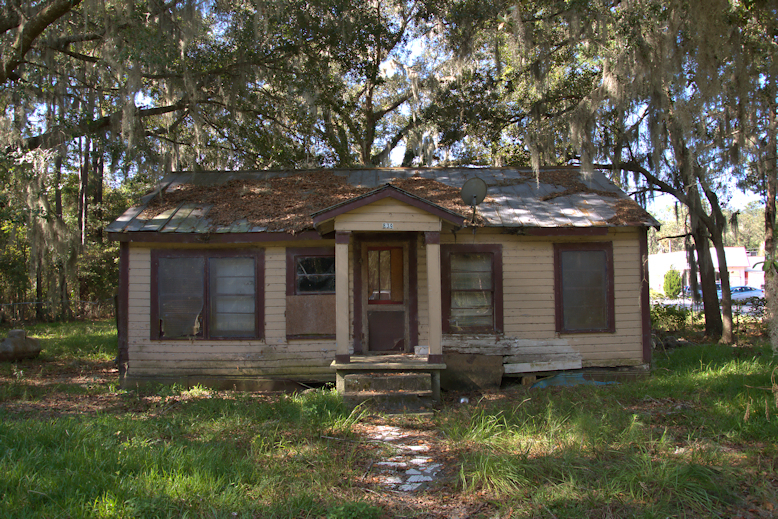 Charleston has the largest concentration, with other examples scattered around the low country of South Carolina; Savannah has a few examples but Midway has the best variety in Georgia. Tympanum detail of the James Wilson stone. Slate. 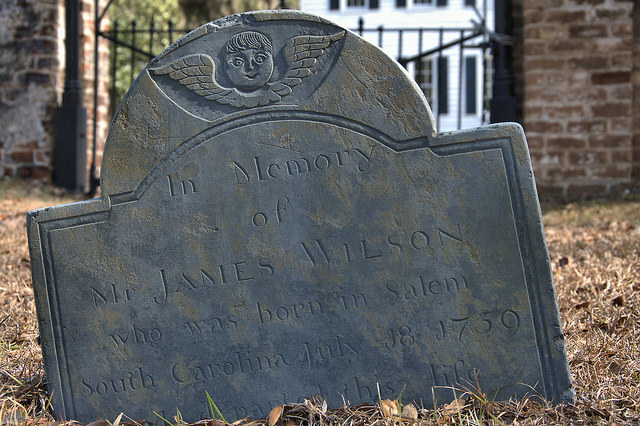 Date of death not visible, as the headstone is half-buried (see first photo). 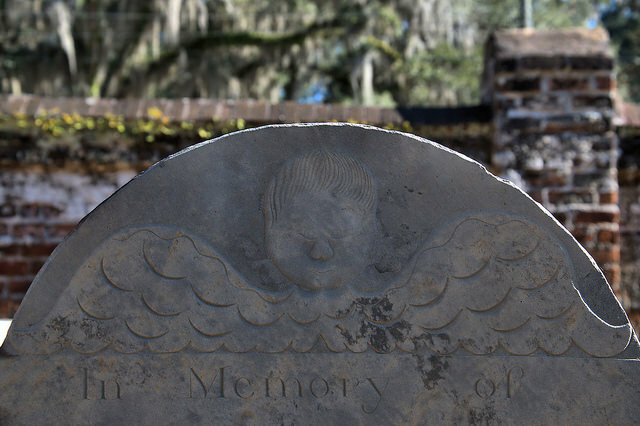 Tympanum detail of the Susanna Stacy stone, 1780. Slate. Tympanum detail of the Margaret Stacy stone, 1792. Slate. 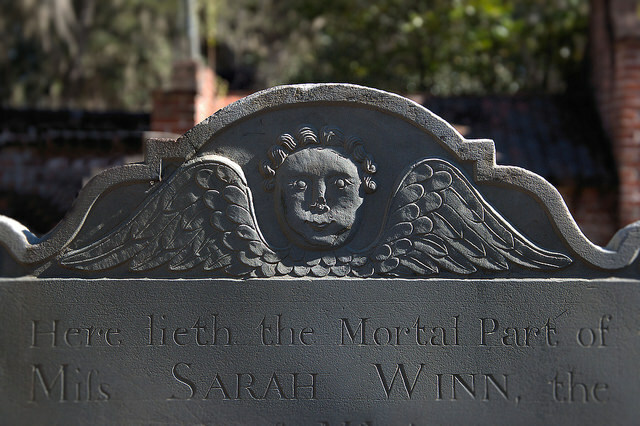 Tympanum detail of the Sarah Winn stone, 1767. Slate. 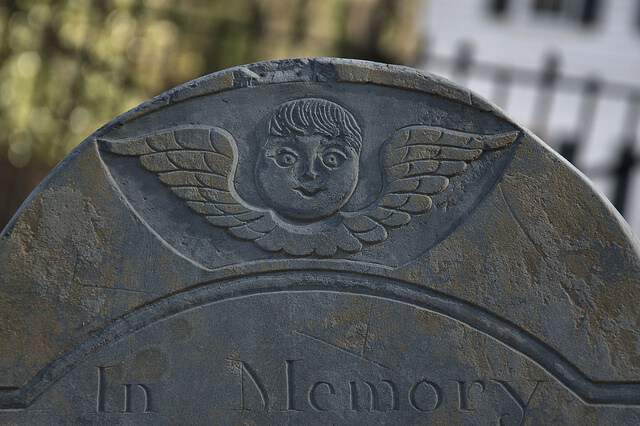 Tympanum detail of the Sarah Stevens stone, 1767. Slate. 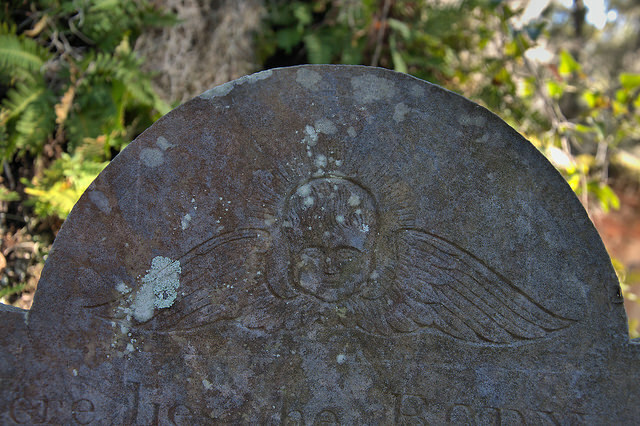 Tympanum detail of the James Osgood stone, 1793. Marble. 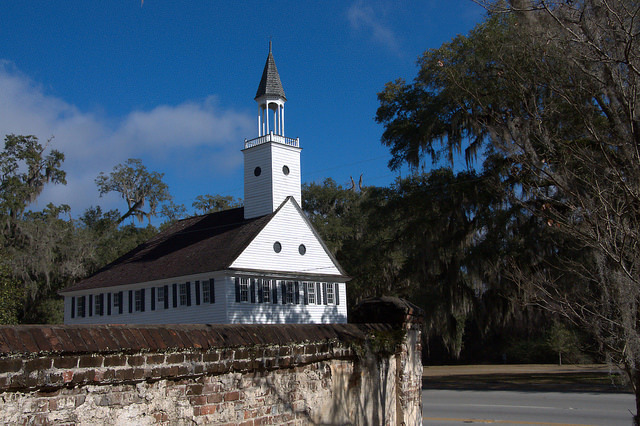 There’s always a nice view of Midway Congregational Church (1792) across US Highway 17 from the famous brick wall surrounding the cemetery.